Ben Cutting! 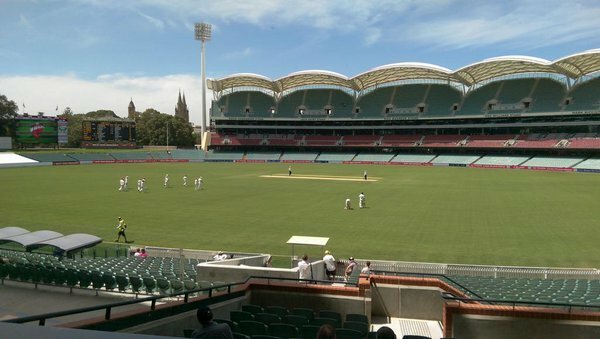 He's castled Marcus Stoinis first ball, Victoria suddenly 2-31. Another innings, another 50 for Steve Smith. Cowan at the milestone too. NSW 1-135. 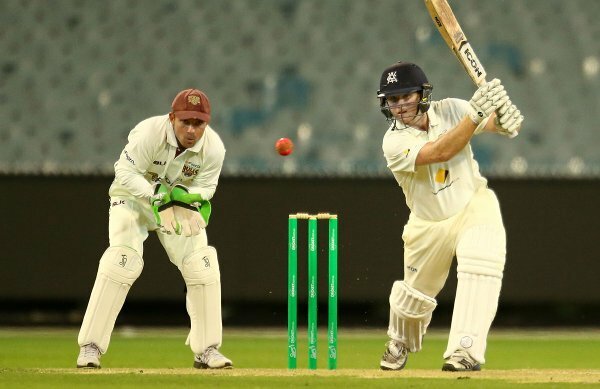 Jake Doran's first first-class innings ends on 5, LBW to Behrendorff. TAS 3-64. 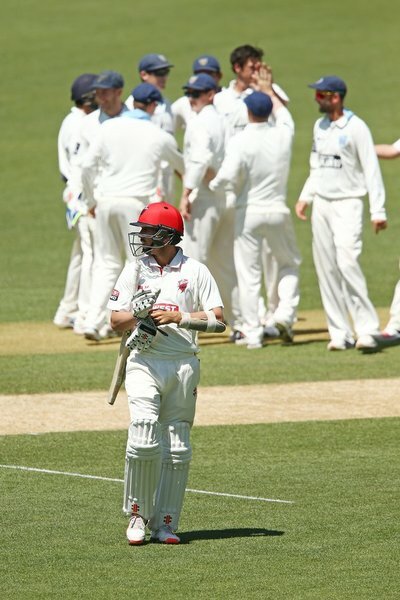 Travis Dean 81* on debut as Vics reach stumps 2-147.